Special thanks to Matt Derrick, tech director and his team and Elaine Kane, Curriculum Coordinator for making the event special. We were so excited to partner with our local Apple representative to bring to life a new event. For years we’ve been putting together the Missouri Summit features Google in Education and it was time for us to honor all of our districts that support Apple Products. We had a call for presenters (which then registered for free) and we built a session board of a myriad of topics around the Apple Ecosystem. We secured our keynote speaker, Rebecca Hare, on Practical Creativity and partnered with Ladue School District to help make the event a premier learning experience for our region. The day was a huge success. See details below and join us next year! Unlocking the 5 key aspects of creativity in yourself and your students. They gave me these iPads. Now What? Do you have access to iPads but you aren’t sure what what to do with them? This session will cover the basics of Apple Classroom and using Google and Office apps. We will also look at apps for math, literacy, presentations, and student engagement. At the end of this session you should know the basics of what you can do with those iPads! It’s time for our students to create and what’s amazing is the mobile devices they carry around in their pockets (I know you have noticed the white earbuds) can compose music, produce a movie, design a poster, and so much more!!! Come experience and rethink the power of iPad/iPhone and how it can transform learning in our learning spaces. Your students are more powerful than you think! Explore an activity that brings the writing process to life with digital storytelling. A simple six-word story, created as a video with six unique camera shots, allows students the ability to tell a powerful visual story. This presentation will guide educators through a unique project that addresses the fundamentals of media literacy, filmmaking, and the digital storytelling process. Learning space continue to be digital for more students. It is essential that teachers and leaders think like designers to sync their instructional goals with the digital space that guides the learning. This session with look at core principles that can support this achievement creation for students. HyperKeynote? HyperPages? Hyper What? HyperPages? HyperKeynote? It does not matter the platform it starts from, what matters is the learning that takes place. The concept behind “hyper” is the increase in critical thinking, creativity, collaboration, connection and real-life engagement. Make any lesson “hyper” with AppleEdu, include multiple platform and application integration, personalize learning, and increase reflection from the learner and the educator. Let's get Hyped! Video creation doesn't have to be a long process using advanced software. Clips is an iOS app for making and sharing fun videos with text, effects, graphics, and more. Using Clips, students can plan their video and start creating right away - allowing them to focus on content and creation. In this session, attendees will experience video creation in Clips, learn the easy to use tools, and walk away with lesson ideas that can be used in the classroom. Infographic Use and Creation in the Classroom. In this session we will discuss ways to incorporate infographics into the classroom and also how to successfully create them with Pages and Keynote. This will also include several lesson ideas to help students better understand how to navigate through an infographic and techniques to follow the breadcrumbs back to the source of the information presented to determine its validity. Takeaways will be provided. Guide your littlest learners through a creative journey on the iPad. Help students use different types of media to become content creators. In this session, we will utilize different apps that range from easy to use to more complex. Participants will gain insight on how to scaffold a lesson on the iPad as well as differentiate for different learners. Participants will need an iPad with the following: access to the camera and microphone, Clips app, Garageband app, and iMovie app. It is so easy and engaging for students new to the country to use the Ipad to promote English Literacy and Language development. With guidance, students can create books to support their learning of sight words, vocabulary words, and sentence structure. See 15+ examples of how students can publish their writing/learning, from podcasts to e-books to videos. Publishing refers to any type of writing OR communication of ideas & information. 90% of the session is hands-on. Choose 1 app you want to explore in this hands-on session. Bring your iPad & headphones. Make sure you are updated to iOS12 and you have the latest version of Keynote and Pages. Stop Searching and Start Creating! The App Store has thousands of apps to choose from and searching can be time consuming and overwhelming! Stop searching and focus on the Apple apps that come with your iPad! This session will focus on the iPad how you can use Apps such as Keynote, Pages, Numbers, Clips and iMovie to create, learn, and collaborate in your classroom today! Reminders- the unsung hero of organizational tools for teachers and administrators. Attendees will experience the vast number of options that the Reminders app offers in keeping todo lists organized and easy to maintain. From general todo lists, to being reminded of a list when I walk into a specific place, to alarms reminding of tasks that need completion, and communicating and collaboration todo lists with teammates, will make any educators life more efficient and effective. Everyone Can Create - Posters, Infographics, Movies, Oh my! When students create, they learn and remember. Using ideas from this session both teachers and students can become creative communicators and innovative designers. This is a hands-on session where you will learn new ways to create professional looking posters, flyers, infographics, and even movies with Keynote, Pages, Quicktime, Photobooth, and iMovie. Heard of #BookSnaps? Let’s try #LearningSnaps! First, use Keynote to have students create personal learning-mojis. Then, use the learning-mojis with iPad apps such as, Book Creator, SeeSaw, PicCollage, Google Slides, or Padlet, etc. to have your students illustrate their thinking about concepts they are learning in class. Using #LearningSnaps allows students to reflect and share their understanding in an engaging, personalized manner. ST. LOUIS, MO, October 4, 2017 -- Connected Learning is excited to announce the hiring of new part-time Development/Program Director Julie Lawson. Mrs. Lawson will serve as a community-facing ambassador for Connected Learning as well as a leader within the organization, lending expertise and insight to company-wide initiatives. Her role includes establishing a plan for continued growth, evaluating and analyzing all development efforts and developing appropriate strategies to address challenges, capitalize and expand successes and improve results. Mrs. Lawson’s career has largely been in the nonprofit sector with some focus on educational initiatives. She recently launched Sentient Strategy, providing consulting to St. Louis, Kansas City and Denver area nonprofits in the areas of leadership development, strategic planning, marketing and related capacity building. She previously worked for FOCUS St. Louis, serving as the Executive Director for the Supreme Court of Missouri Commission on Racial and Ethnic Fairness (2015-2017), Vice President (2015-2017), and Adjunct Trainer for the Coro Women in Leadership Program (2006-2015). In addition, Mrs. Lawson served as President for the Board at Active Minds Institute, a charter school curriculum development organization. Mrs. Lawson will begin her new role with Connected Learning on November 1. Connected Learning is a non-profit organization that supports those who desire to learn more, are willing to take risks, and think differently about the problems we face in education today. 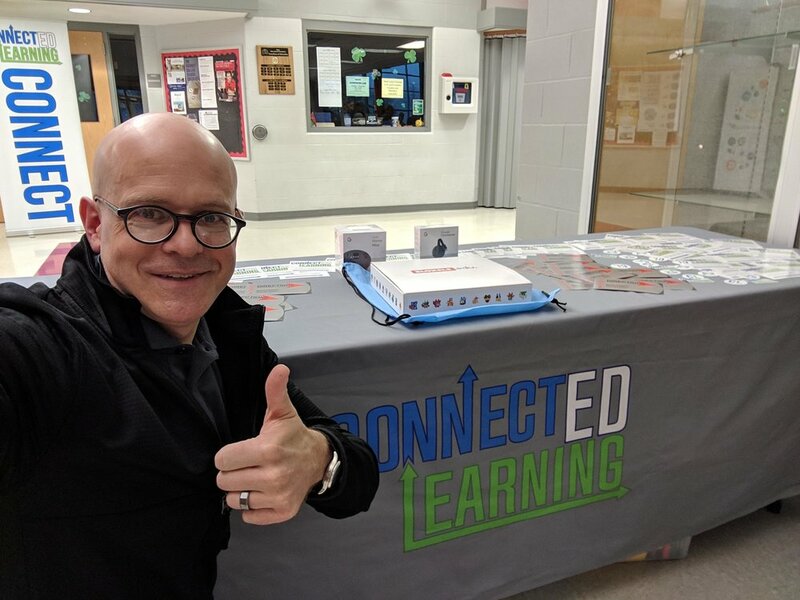 Connected Learning does this by hosting, sponsoring, and supporting events. As hosts, Connected Learning plans, develops, and carries out events. This includes our flagship event, edcampSTL, as well as a number of events throughout the year that promote innovation and next practice. As sponsors, Connected Learning is able to bolster other incredible learning opportunities through donations of our time, talent, and treasures. As event supporters, we work with individuals planning events to provide logistical advice, ideas, and opportunities to market the event to our incredible network of learners and supporters. Come Join the most EPIC team in the midwest! 1. Serves as community-facing ambassador for Connected Learning. 2. Serves as leader within the organization, lending expertise and insight to company-wide initiatives. Leverages all essential skills and abilities to achieve goals. 3. Establishes a plan for continued growth including financial, human, and physical resources alongside the CEO and Board . 4. Develop organization wide processes, procedures, and systems for long-term success. 5. Assists CEO, Leadership team and Board in development and implementation of an annual and multi-year fundraising plan and strategy. 6. Sets and meets goals for partnership portfolio including fundraising and professional learning action goals. 7. On a regular basis, builds and calibrates partnership portfolio in collaboration with peers, leadership team members, Board and CEO to ensure goals are met. 8. Evaluates and analyzes all development efforts and develops appropriate strategies to address challenges, capitalize and expand successes and improve results. 9. Cultivates and nurtures relationships within the partnership portfolio. 10. Achieves targets and goals within budget, and manages budget accordingly. Connected Learning seeks an innovative thinker. A bold leader. A developer of individuals and of a growing company. Leadership experience in a non-profit, program, school, or association is essential. The emotional intelligence and political skills to manage on a personal and human scale the conundrums that emerge for organizations with a large passion and growing ‘membership.’ A desire to write and speak about what innovative learning looks like and how it is experienced by children and adults. A willingness to travel and present at conferences around the country. The skill to author and secure grants to grow the organization’s capital and ability to influence the region. The proclivity to bridge the inherent tensions in the movement between authentic practice and innovation; competition vs. cooperation with other organizations; expansion into the private, urban and rural domains vs. dilution of core practices, etc. Financial acumen and fundraising experience. Management skills to supervise a small shop with large demands placed on it and to manage up to a board seeking vision and direction. Part time. No more than 10hrs per week, annual compensation $10K - 20K based on experience and outcomes. Salary incentives can also be increased based on development milestones. Connected Learning does not and shall not discriminate on the basis of race, color, religion (creed), gender, gender expression, age, national origin (ancestry), disability, marital status, sexual orientation, or military status, in any of its activities or operations. These activities include, but are not limited to, hiring and firing of staff, selection of volunteers and vendors, and provision of services. We are committed to providing an inclusive and welcoming environment for all members of our staff, clients, volunteers, subcontractors, vendors, and clients. Connected Learning is an equal opportunity employer. We will not discriminate and will take affirmative action measures to ensure against discrimination in employment, recruitment, advertisements for employment, compensation, termination, upgrading, promotions, and other conditions of employment against any employee or job applicant on the bases of race, color, gender, national origin, age, religion, creed, disability, veteran's status, sexual orientation, gender identity or gender expression. Cover letter addressed to the CL Executive Director Search Committee expressing interest in and qualifications for the position. A statement of your leadership philosophy (1 – 2 pages). Two examples of writing showcasing leadership or potential to the organization. Three references (including email addresses, and telephone numbers) who can be contacted confidentially at the early stage of discovery. These references will not be used unless you are notified. Connected Learning partners with schools, organizations and experienced educators to support next practices in education. This month Connected Learning partnered with several organizations to put on EdSurge St. Louis. 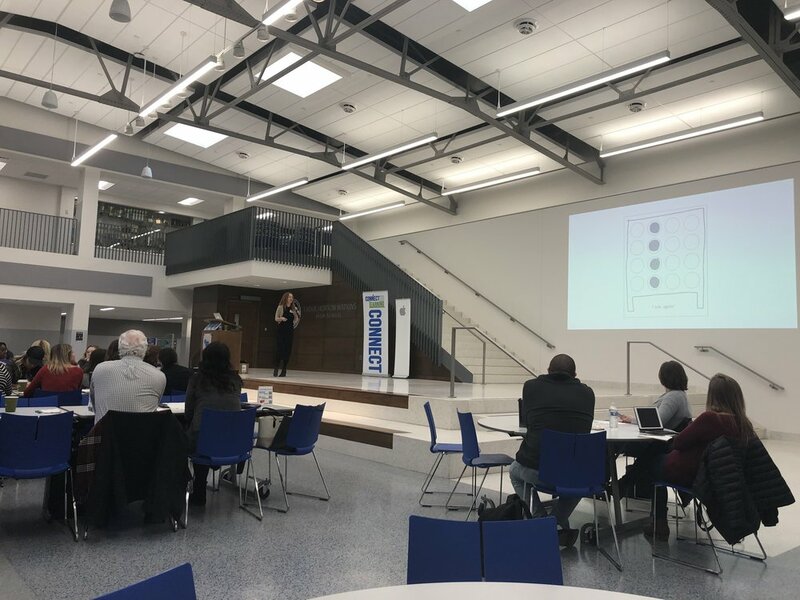 The event, held at Mary Institute and St. Louis Country Day School (MICDS), brought together administrators and school leaders on a Friday and then teachers on a Saturday to interact with a variety of education technology vendors. Edsurge showcases the latest and greatest in education tools and allows educators to talk directly with the creators. If you missed the event, looks through the list below and check out what these awesome companies are doing!